Year round, pilgrims flock to the Boudhanath Stupa, which is flush with prayer wheels, prayer flags, and meditative walking paths. 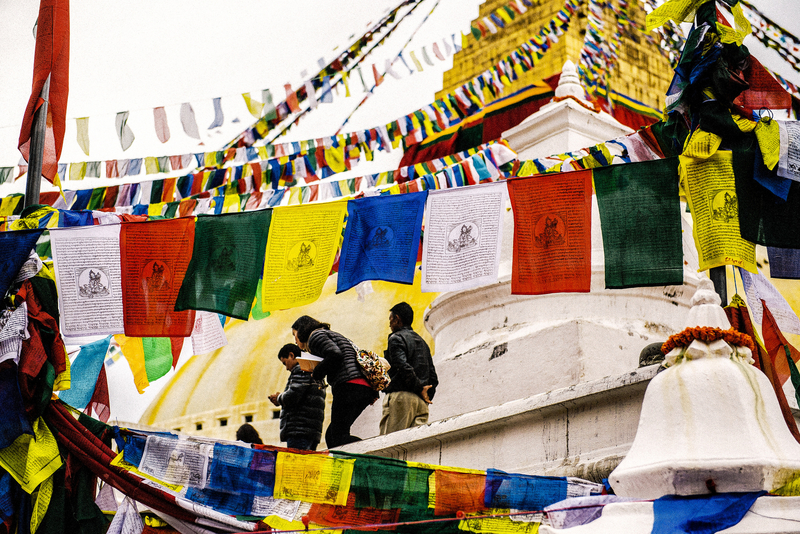 Allison Rushing sends these pictures of Nepal’s wind-whipped temple. The walls of houses in the Himalayan foothills are often decorated with handprints. Allison Davies sends this photo.